Thank you to everyone who made it out on Father’s Day for our 5K! Save the Date! The Milford Bank will host its 5th Annual Milford Moves 5K Run & Walk on Sunday, June 16, 2019. 100% of proceeds raised will be donated to Milford’s Veterans groups. We are happy to announce that Colony Grill of Milford will again be our event co-sponsor, providing free pizza and a beer for all participants. Start your Father’s Day celebration with us! After the 5K, enjoy free pizza from the Colony Grill food truck. 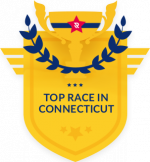 Participants ages 21+ are invited to Colony Grill of Milford (a couple hundred yards from the finish) for a free post-race beer or soft drink. Other post-race refreshments include bagels, bananas, and fluids. The race will be chip timed! Plenty of parking will be available in designated areas, side streets, in The Milford Bank and Colony Grill parking lots (no parking on the race course). Dri-Fit shirt sizes are guaranteed to all entrants registered by June 4th. Free Kids’ Fun Run offering a non-competitive, 1/4 mile race for kids 12 and younger only – weather permitting. All kids receive a finisher medal! Most Patriotic Award: Show off your stars and stripes! Thank you to all the runners, walkers, sponsors, supporters and volunteers who helped make our 3rd Annual 5K a success! The Milford Moves for Veterans event raised over $14,000 for Milford Veterans groups. Thank you to all the runners, walkers, sponsors, supporters and volunteers who helped make our 2nd Annual 5K a success! The Milford Moves for Veterans event raised over $8,000 for Milford Veterans groups.